Say well done with flowers! A one of a kind gift specially design with them in mind. Flowers are a great way to congratulate a wonderful time! 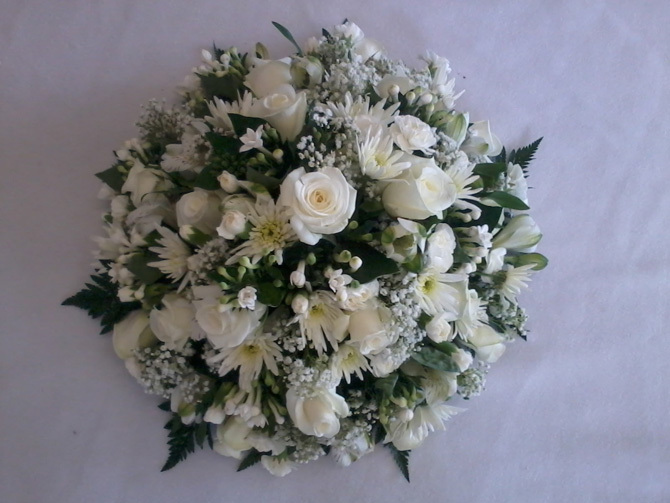 So if you are looking for florist in Bristol for your congratulation flowers - Select one our our lovely arrangements below and call to arrange collection from our shop or to arrange delivery. Whether your celebrating new home, birth of a baby, retirement, new job, exam results or passing a driving test whatever the occasion say congratulations with flowers. Below are just a small selection of our congratulation bouquets, contact us and we’ll be happy to discuss your requirements. 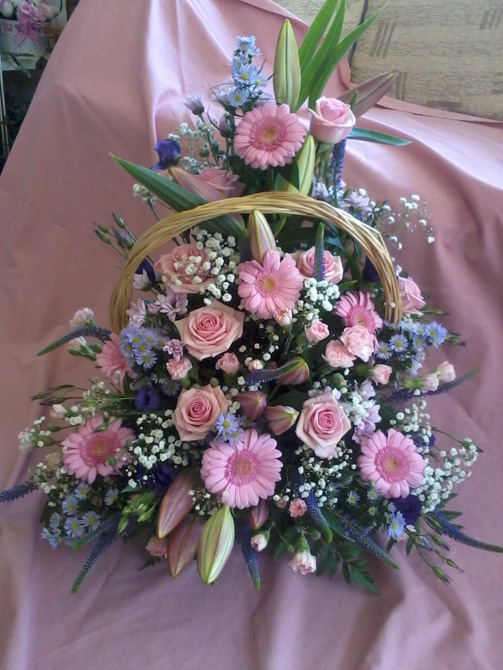 A pretty aqua gift box arranged in pink roses pink gerberas pink carnations pink lilies, lem chrysanthemums, lilac September flowers and gyp. 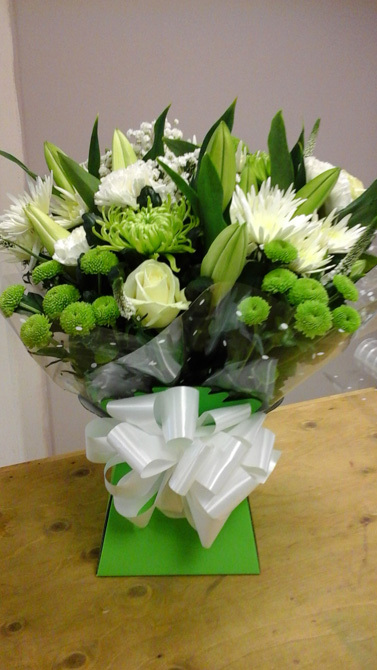 An elegant aqua gift box in green/white, with stunning white roses, white lilies white spider chrysanthemums and finished with green blooms and green chrysanthemums. What an achievement, you are a star congratulations! Say it with flowers. 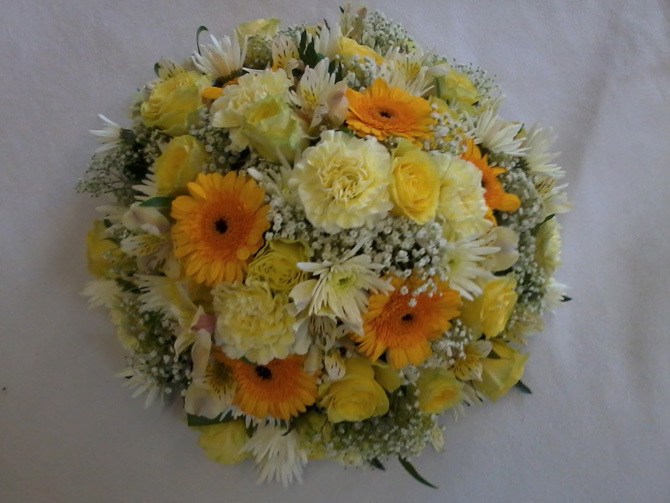 Sunny bouquet to congratulate new parents. Who will make my congratulation aqua gift box or flowers? 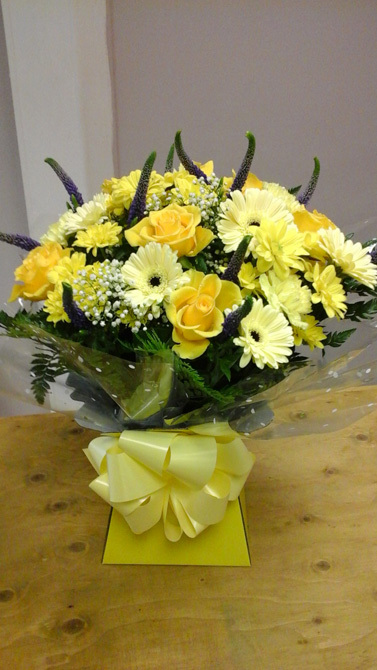 We make up all our congratulation flowers and arrangements within our store based in Filton, Bristol. Is my aqua gift box arranged in water and come in water? Yes all arranged and in water. Make them smile even more when you celebrate with congratulation posies, we can create any colour combination if you would like to key in the celebration with the flowers. Below are just a small selection of our congratulation posies, contact us and we’ll be happy to discuss your requirements. Well done on your new job/promotion – congratulations with flowers. It's amazing how flowers feel just right when you're celebrating, let us know what colour comination you would like. Can I have different coloured flowers for my posies? Of course, simply call us to request the colours you want. We can match this up with what flowers are available at this time of year. 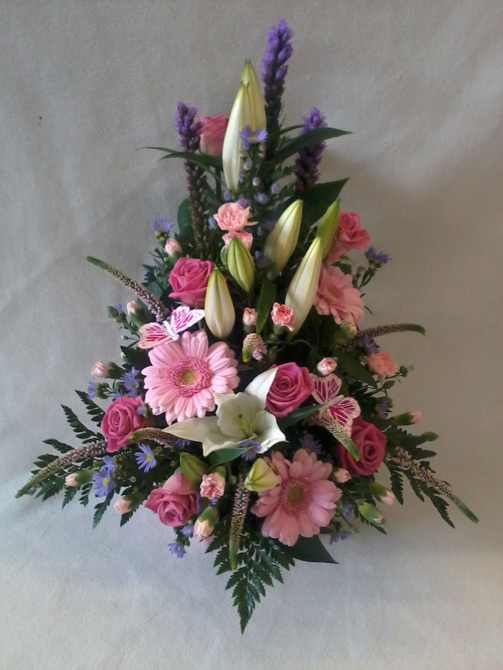 I am looking to have a posy arrangement made, but can you make them with candles in? Of course candles are a lovely idea, just give us a call or pop in to order and we will be happy to help. Ideal for Christmas table centres or party tables. Available as gift baskets and front facing gift baskets. Below are just a small selection of our congratulation gift baskets, contact us and we’ll be happy to discuss your requirements. Gift basket : A lovely gift for a new home, adding a touch of the outdoors, indoors. Font facing gift basket : Enjoy your retirement these flowers to add to the celebration. 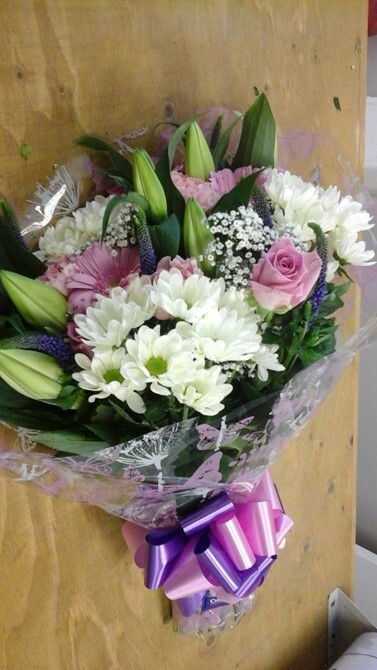 Do you include a vase with your congratulation aqua gift boxes? It's mum anniversary and the theme is pink, so can I state pink flowers? Yes of course we can match your colour theme. Who will make my congratulation aqua gift boxes or congratulation flowers? We make up all our congratulation aqua gift boxes, congratulation flowers and arrangements within our shop based in Filton, Bristol. Can I send a congratulations balloon or present with my flowers? Yes, we offer a selection of gifts to compliment your flowers, please call us to discuss what we offer and check availability. Can I include a banner with my flowers? Yes, please call to discuss what we have in stock to suit your needs. Can I include a personal message of congratulation with my flowers? Yes you can write your own message when ordering in the shop, or we can write it for you if you order over the telephone. Can you work to any size budget? Let us know your budget and we will work with you to find your perfect congratulations arrangement. Do you deliver aqua gift boxes? Can I request a time for my flowers to be delivered? Can I request a Sunday delivery? How much will you charge to deliver my aqua gift box in Bristol? Do you deliver aqua gift box in Bristol? 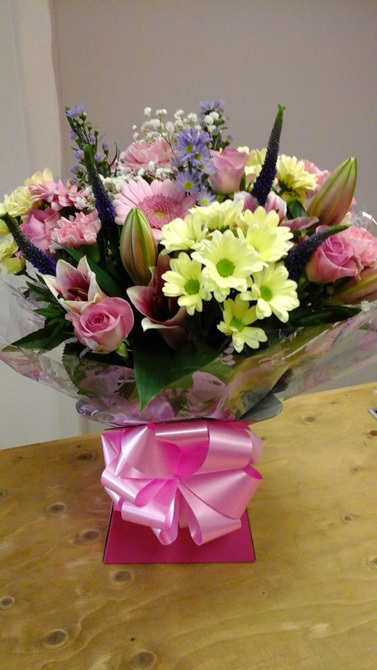 Will you deliver congratulations flowers to a place of work? We can always deliver to work places no problem. My daughter's suprise is on a Saturday, do you deliver Saturday? Can we pay for congratulation flowers over the phone? If I wanted to pay when collecting my congratulation flowers is that ok?